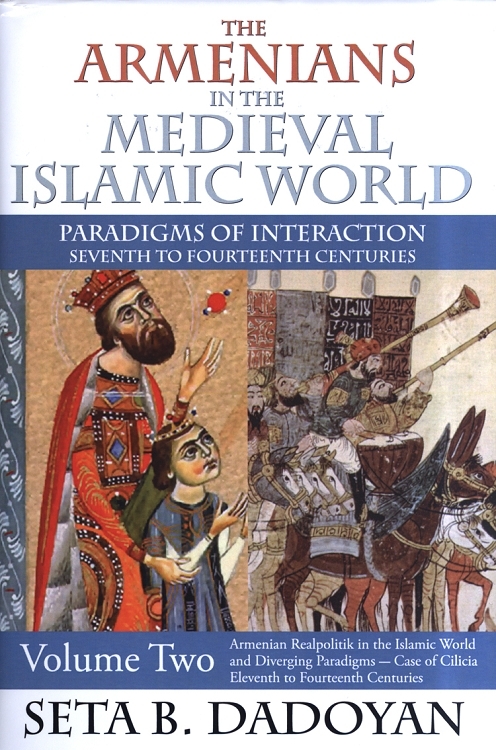 The Armenians in the Medieval Islamic World: Armenian Realpolitik in the Islamic World and Diverging Paradigims—Case of Cilicia Eleventh to Fourteenth Centuries is the second of a three-volume collection by Seta Dadoyan. The volume explores the Armenian condition from 970 A.D. to the end of the 14th century, a period marked the gradual loss of semi-autonomy on the traditional mainland and the rise of Armenian power of diverging patterns in southeastern Asia Minor, north Syria, Cilicia, and Egypt. Dadoyan’s premise is that if Armenians and Armenia have always been located in the Middle East and the Islamic world, then their history is also a natural part of that region and its peoples. She observes that the Armenian experience has been too complicated to be defined by simplistic constructs centered on the idea of a heroic, yet victimized nation. This book will stimulate re-evaluation of the period and the re-conceptualization of Armenian and Middle Eastern histories.